Difficulty in managing the information shared via e-mails and other discrete channels. Waiting for the monthly/weekly reports to make business decisions. Storing and preserving physical copies of critical documents. Spending money on human resources for getting the repetitive task done manually. These are a few hurdles that you must have encountered if you are a growing business. And today, the obvious solution to these problems is an ERP solution. gain real-time visibility into the on-ground operations of their business. Do you know there are many ERP solutions available in the market from Microsoft, SAP, Oracle, Tally to name only a few? All these have different features. Some are more suitable than others depending on the type of business. To add, many vendors are offering customized industry-specific ERP solutions. On top of it, ERP solutions can also be classified based on the cost, such as ERP for small businesses. Their pricing depends on the number of users they allow, starts from INR. 20,000 per user onwards. 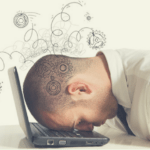 So, are you going to get answers to these questions from your ERP solution provider? Maybe. But is the solution provider going to analyze your organization’s processes, diving deep into your business specific requirements? If you are going to put your hard earned considerable amount of money in implementing an ERP solution, you need to make sure you are opting for the right one! That is why, before you approach an ERP vendor, it is suggested to get in contact with an SOP consultant first. These are the professionals who can put you on the right track and help you choose, implement and manage the right ERP solutions for your organization. To hire experienced SOP consultants with years of cross-domain experience, Contact here. Who is an SOP Consultant? SOP Consultants help define standard operating procedures for the entire organization and while doing so, they map every process of each department with your IT system. This helps in giving you detailed understanding of the requirements of ERP and help you choose the most suitable one for you. Make sure that the SOP consultant you hire can communicate with users at different levels of your business. SOP consulting ensures that the newly integrated ERP software meets all of your reporting, management, accounting, and financial needs, and also help you in streamlining the company’s processes as a whole. 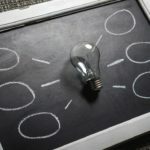 According to Gartner, 90% of the organizations lack an application integration strategy and execution ability that leads to failure in ERP-implementation, complexity, and over-budgeting. configure the ERP software as per your business requirements. Choosing the right ERP vendor is not easy, Contact here to get help! Better Understanding of the Business Processes: SOP consultants will conduct face-to-face meetings with your management and staff members to find out the specific ERP related requirements and expectations. Then, they will make a cohesive plan to incorporate these needs and serve your business with the best possible ERP solution. Determine Key Areas for ERP Implementation: The right time to hire SOP consultants is before actually implementing the system. If you call them beforehand, they will examine the weaknesses and strengths of your current system. Most businesses opt for them when an ERP implementation fails, which is not the right approach. ERP Customization: The consultants will customize the interface of the ERP system as per the understanding and knowledge of your employees. 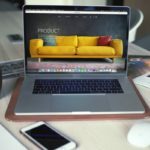 Implementation Support: The SOP consultants will make sure that the software being employed on your business has the latest of features, and is equipped with the newest of upgrades. They will also take care of all the data migration and system configuration tasks involved in the process. 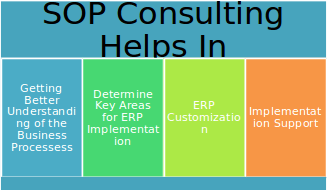 SOP consultants will monitor the progress of your company through the entire ERP implementation program. They will coordinate with all the branches of your organization and ensure that all of their needs are met by way of system upgrades. 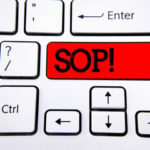 How to Shortlist a Good SOP Consultant? Experience: Should have worked with businesses in your particular industry. Attitude: Should possess excellent communication skills, and should be patient enough to listen to your individual needs. Skills: Must have excellent technical skills and unmatched problem-solving caliber. Considering the fact that many ERP implementations are failing, hiring an experienced SOP Consultant from a leading SOP consulting firm is an absolute necessity rather than a choice. If you are looking for a company that has vast domain experience and specialized ERP consultants for specific domains, then you can drop a mail at [email protected] or connect at +91-9860-426-700.